Last week I posted my assessment of Geoff Baker’s article from 2/13 about the potential of Seattle landing an NHL team. Since then, Geoff followed up with an additional article 2/20 with some information on a Seattle delegation headed up to Vancouver to learn more about the business of hockey and take in a game. For the most part, it was nothing new and information we expected was going on behind the scenes. …but on Friday, while a guest on a Vancouver sports radio show, Baker revealed that the 3 potential ownership groups of a Seattle NHL franchise are 1) Bartozek/Lanza 2) Don Levin and 3) Steve Ballmer. The Ballmer news is huge and could be very positive for the prospects of landing a hockey team in Seattle for 2015-16 Season. 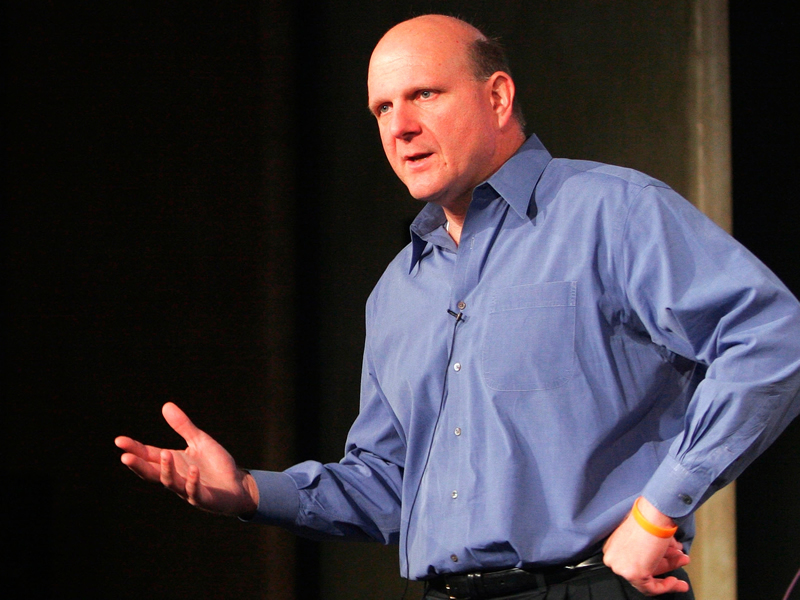 If Ballmer is the man, it should greatly simplify the non NHL complexities of the deal. Specifically, agreement with ArenaCo (Hansen/Ballmer) and the City of Seattle (Amending the MOU). Obviously, Ballmer and ArenaCo will come to terms and the City of Seattle should not be AS concerned about changing the MOU to have an NBA/NHL option. The entire radio interview is here. The segment starts around the 22 Minute mark and goes about 14 minutes. It is worth a listen. At one point Baker implies that the MOU would need a major re-write in order to allow an NHL first scenario. Baker and I spared over this on twitter a while back and I still believe this should be a minor addendum. Fortunately, King County Executive Dow Constantine thinks the same way I do so frankly I think Baker is wrong in that regard. I am also surprised to hear Levin’s name pop into the equation based on the differences of opinion Hansen and Levin had a while back. I am trying not to get excited here as there still is only one source for this specific information and Ballmer has never expressed interest in an NHL franchise before now. I am proceeding with caution here but still excited at the prospects of Ballmer owning the NHL team. Now that the Olympics are over, I think it is possible that we might get an official statement out of the NHL or from one or all of the named ownership groups. I would expect Ballmer to confirm or deny this rumor in the next couple days. Hang in there but keep in mind we should gain some idea how this will land in the next 4 months. What was or were the difference’s between Hansen and Levin that you mention in your post? The detail of the differences were never identified but both of them acknowledged that they were not in alignment. Levin was working on an East Side Deal when the Hansen Seattle Arena deal came up so there is that difference. Levin also took to the airways about his Bellevue arena, a day or two before a big Seattle city council meeting that could have upset Hansen. This is a partly silly question, but has there been any speculation on what might happen to the Thunderbirds and/or the Silver Tips if an NHL franchise does (I surely hope so) come to Seattle? I think that is a great question and something that has been discussed from time to time. I will put a full post together on it. In a nutshell, I think a rising tide raises all boats. The T-Birds and Tips look to gain for the NHL coming to the market. They are also well located to draw on different sets of fans. I would love to see both junior teams collaborate with the NHL team so that everyone benefits.